Michael uses enthusiasm backed up by his extensive global experience to assist companies facing financial distress. Michael believes in the power of teamwork and utilizing each member’s strengths to maintain maximum output for his clients “I’m fortunate to have access to a strong, like-minded multi skilled team with a track record of success”. Michael is a leading corporate restructuring advisor and insolvency practitioner with over 20 years’ experience assisting companies that are underperforming, facing financial distress or in need of financial restructure. 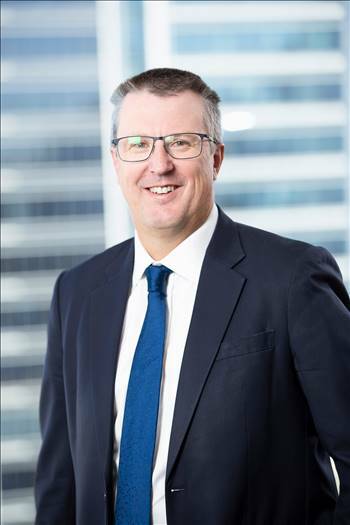 He is passionate about the profession, and currently serves on the ARITA (Australian Restructuring Insolvency & Turnaround Association) National Board of Directors as Vice President, is a member of the Executive Committee, chair of the Finance Committee and is Chairperson of the NSW and ACT Committee of ARITA. He has significant experience as a registered liquidator in various roles including acting in the capacity as receiver and manager, administrator, deed administrator, liquidator, creditors trustee, and statutory trustee. He has also conducted numerous confidential consulting and lender advisor engagements and solvency reviews. Michael is a passionate sports lover both on the field and in the armchair. When he is not on the tennis court you’ll find him on the sidelines of a hockey or soccer field cheering on his three children.